How TV will change the game for digital marketers - Nothing to Hide? TV is about to go through the biggest radical rethink in decades as it becomes connected to the internet. And who is going to help manage this process of change? You, the digital marketer. When you work in digital marketing, mentioning TV in the same breath probably conjures up pictures of Don Draper fraternizing with women, long lunches, and drinking whiskey from a decanter in plush offices. So not much has changed, then? The very fact that TV still commands 50 percent of the half-a-trillion dollar global media budget is that it unashamedly presents itself in the homes of each and every consumer and says “look at this, it’s beautiful and you know you want it.” And lo and behold, the resulting “ker-ching” of cash registers proves this to be true. Yet with the rise of smart phones and tablets, something has happened in the last few years that followed the meteorological rise of social media. That is when you are sitting in front of high value entertainment and something piques your interest when presented imaginatively, the passion spills over into intrigue and sharing. 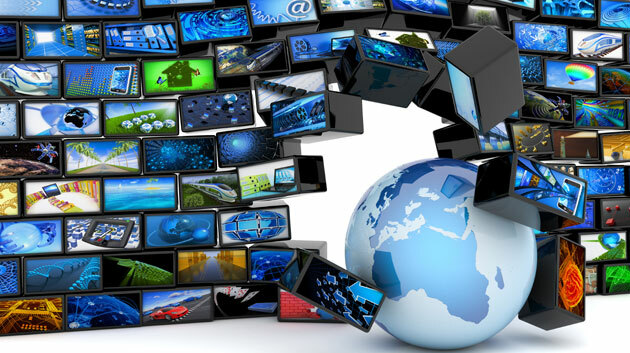 It is estimated that 25 percent of consumers go online after seeing a TV ad. That’s a huge spike right there. That’s not to mention that half of all TV watchers have a second electronic device in their hands, such as a smart phone or tablet, whilst in a comatose state on the couch engrossed in anything from “The Vampire Diaries” to “Mad Men.” But whether you are checking your email or talking on Facebook, the habit is now truly synced for TV watchers. So much so, the biggest topic of discussion on social media by far is TV content. We just love it and we can’t get enough, because with every wave of consumer technology — from video recorders to X-Box and Hulu — technology just drives TV viewing up and up, and with it the potential for advertising dollars and media measurement. We first saw it when we combined search and display — one of the first major moves to consolidate our fragmented industry. We discovered that 30 percent of people searched once they actually saw something. This sounds obvious as, clearly, one doesn’t tend to look for something they have never heard of. Yet this next organic wave of “dual screening” — watching linear content on the main TV screen — whilst interacting on a second screen in your hand, is going to change everything we know about media to date. Now don’t get me wrong, the ability to place-shift content and carry TV with you in your pocket is going to grow exponentially, especially as the promise of 4G becomes a reality — but the forecast of $254 million by 2015 isn’t something the TV producers are too worried about. The big shift is in the delivery of video — not through traditional broadcast methods– but increasingly via the internet infrastructure. Right now Google estimates that 40 percent of all internet traffic is video, within the next two years it’s expected to top 91 percent! Take the Super Bowl — the largest TV event in the U.S. — as an example. On February 5, 2012, it was streamed online for the first time and 2.1 million unique viewers spent 78.6 million minutes watching it, making it the most viewed live-stream event ever. We can expect the Olympics 2012 to dwarf this. Already 30 percent of U.S. homes find their TV sets are connected to the internet, whether directly or via an over-the-top service like cable or BluRay live. Best Buy saw 30 percent of all new TVs sold last year were “connected” and they are planning on this being 90 percent by 2015. The distinction between TV and online is quickly becoming blurred — and this is clearly shown in the impending explosion of online video. But let’s be honest, sitting in front of your laptop isn’t the future for online video, it’s going to be video distributed over the internet to the very best screen in your home, your television. So what does this mean for the digital marketer? The rise of tablets and smart phones is the next wave of what we saw with the desktop PC being outpaced by laptops. Not only that, but this increasingly means “apps.” Go to any major portal or significant website via your handheld device and I guarantee you will have seen this kind of message: “Download the app for this site here.” Online is beginning to radically shift as well as print media, and from BBC iPlayer to HBC GO, we are seeing TV beginning to shift. A recent In-Stat survey estimated that over 60 percent of connected households will use a TV app at least once per week. As you would expect, Netflix and YouTube currently dominate the TV app space, but with the rise of companion apps from major TV networks like ABC, NBC, and CBS it isn’t long before we can assume that TV stations themselves will just become apps. But for all the talk of smart TVs and the rumor mills around a 50″ Apple iTV, consumers don’t replace their TV sets the way they do their mobiles. We typically replace our mobile every 12 to 18 months compared to every 7 to 10 years for TV sets, though that figure is now beginning to drop. This means for TV to shift we need to think of things connecting to the TV, as opposed to an actual smart TV in the near future. And that, my friends, is the race between OTT boxes from cable companies to Roku, Apple TV, etc. and wireless companion devices of the smart phone and tablet era. Long-term, my money is on the latter. When you look into what tablet and smart phone users are doing when watching TV, we discover that about 19 percent are searching for content related to TV advertising, a huge percentage of which are looking for coupons and discounts. This means that if we can simplify the process of finding related information or even sharing with friends whilst in front of the TV using a companion device, we can find a hybrid lean-back experience with lean-forward engagement. Whether it is snapping a QR code on the screen, or letting high-frequency audio be picked up by a listening app on your smart phone or tablet, you can trigger a related response on the second screen. This doesn’t just have to act as a single redirect mimicking a click-thru, oh no. Multiple audio signals can be picked up within TV content or ad content to create multiple trigger points such as to collect characters by swiping your phone at the TV as shown by Wieden and Kennedy in its Honda Jazz TV ad, whereby the more interactive characters collected on the phone, the more hidden features one could discover. But that is only TV ads. What about content itself? Adding meta data to all TV and film content means that potentially the trigger points of Daniel Craig sporting the latest Omega Seamaster in a Bond film becomes a trigger for the companion device to show an ad. Ever wondered what shoes Sarah Jessica Parker was wearing? Well now you can know without even doing a search. The bottom line is TV is changing. The notion of online video is permeating all media channels, and modes of measurement are going to be a hybrid from evaluating the value of an emotional connection through exposure as well as a tangible engagement through interaction. TV is just a large high-quality monitor that displays video content, irrespective of how it is transmitted to it. But everyone knows this will be increasingly via internet. It isn’t going to die. It’s just going to become a lot more dynamic, targeted, and measurable — complemented with “huge” production budgets. And that my friends, is the future of digital. So go get yourself a decanter, put it in your office, and dream of the day you will actually have the dollars to fill it with a nice single malt and the time to enjoy it, whilst browsing Hawaiian getaways on your tablet device. And in the meantime, go figure what a “spot” or a “TRP” is. I am a Digital Transformation Strategist and focussed on global evangelism; helping position clients at the forefront of emerging media and the next generation of consumer engagement. I'm passionate about how storytelling and creative technology can be used to deliver focussed messages – irrespective of the consumer viewing device – and then drive favourable outcomes for brands, whilst addressing concerns over user profiling. I enjoу reaԁіng thrоugh an artiсlе that wіll maκe рeople thinκ.